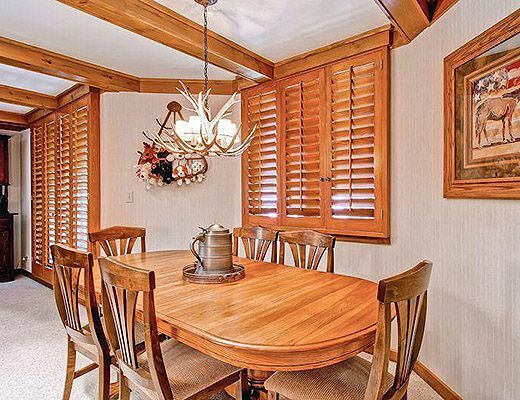 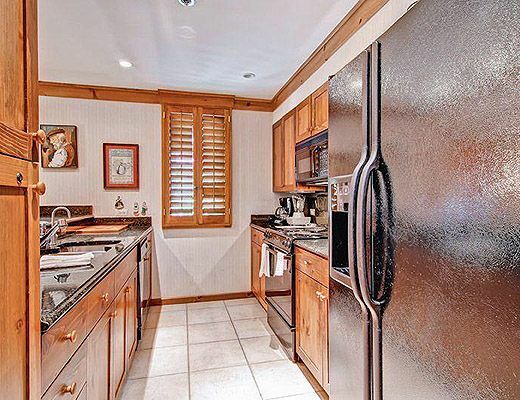 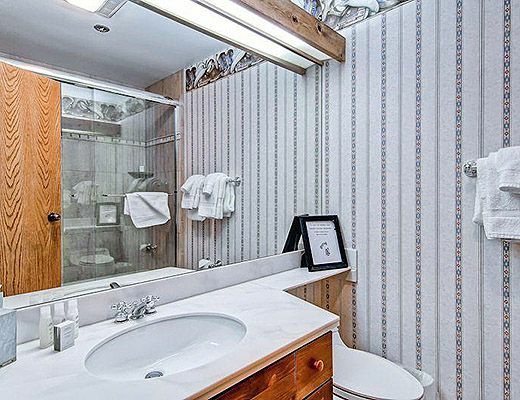 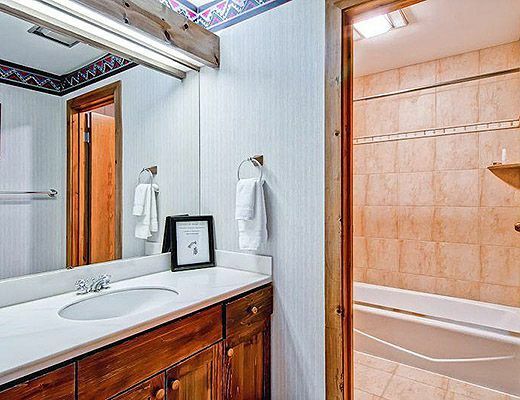 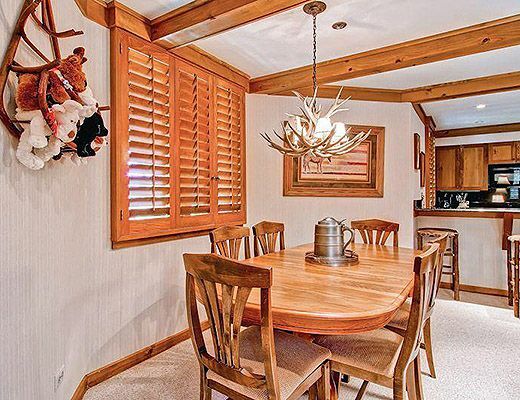 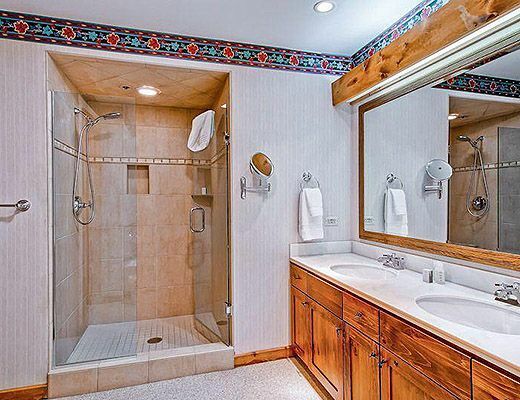 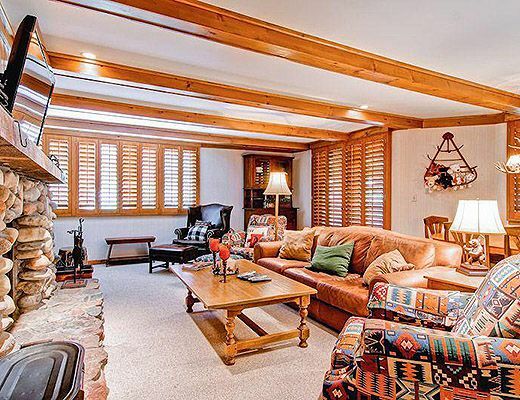 Western charm fills this three-bedroom, three-bath residence, located on the first floor. 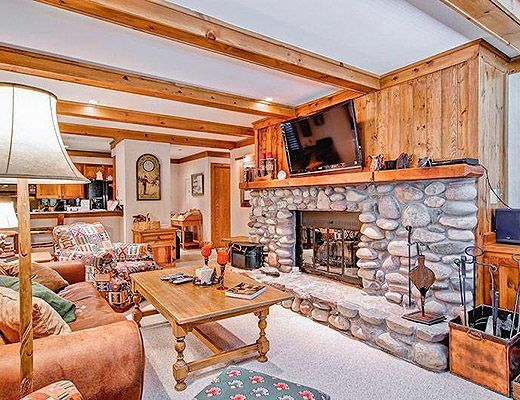 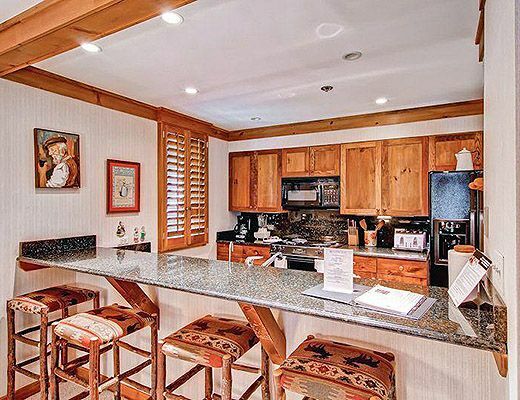 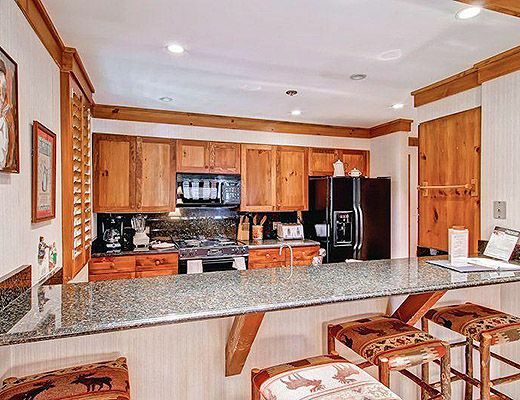 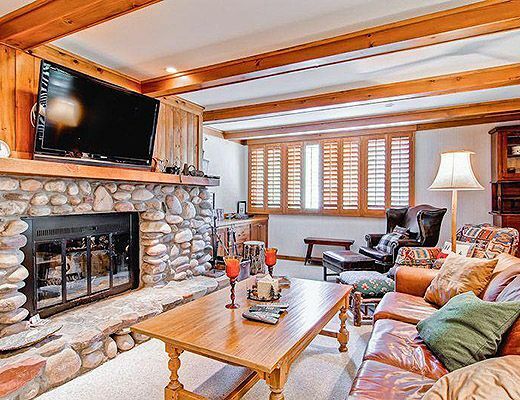 Snuggle up around the stone fireplace or gather in the updated kitchen to create a great meal after a big day on the mountain. 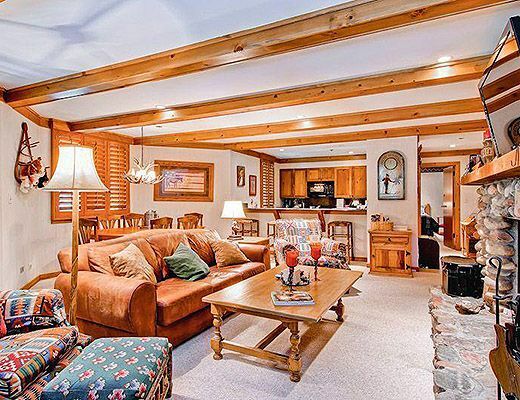 The comfortable living room, with wood beam accents, has views over the village toward Strawberry Park. 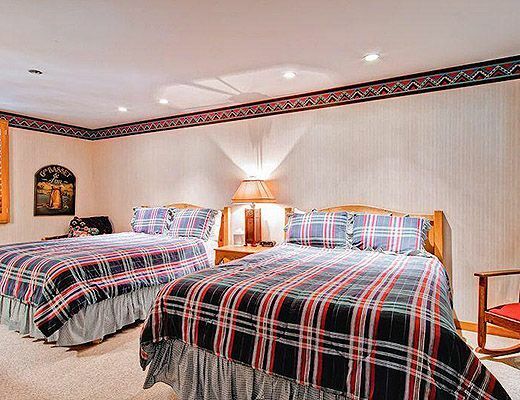 Each of the spacious bedrooms has an upgraded en suite bathroom, TVs and mountain or valley views. 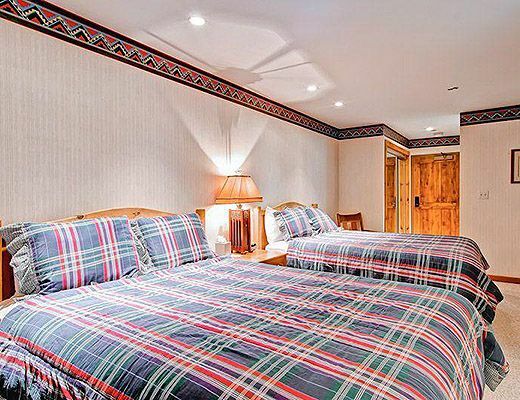 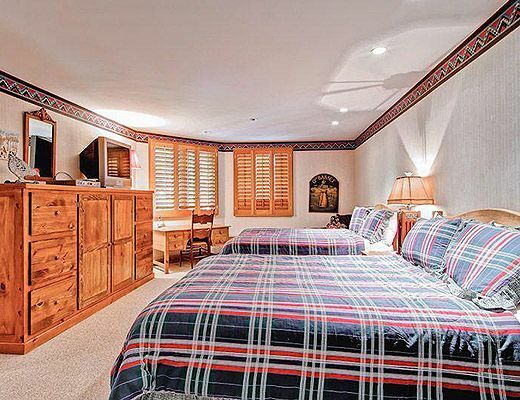 The master suite features a king-sized bed, desk area and a private patio. 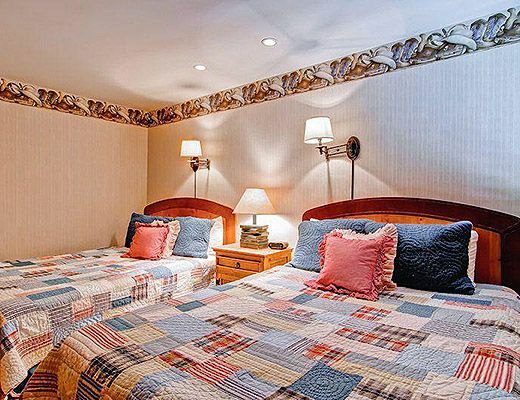 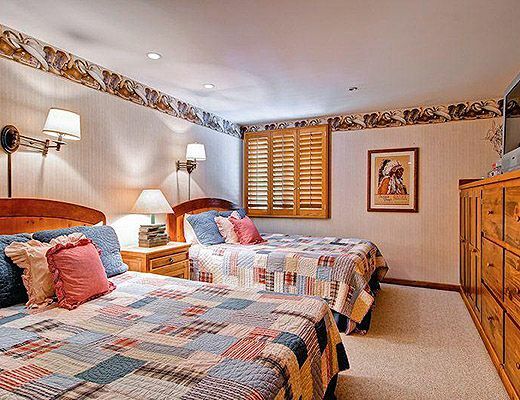 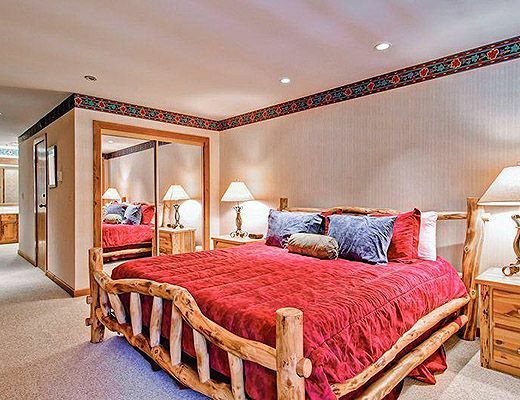 Both the remaining bedrooms have two queen-sized beds.